Foxconn, Apple’s quintessential gadget manufacturer, is reportedly facing harsh labor and part shortages. Such a shortage could result in a shipment stall, particularly when it comes to the iPhone 4 and iPad 2. Digitimes has reported that the manufacturer wouldn’t directly address the issue, only saying “the company’s capacity is being arranged fully at the request of its clients.” Foxconn refused to say whether shortages would delay Apple device shipments. Recent reports might indicate that there is indeed a problem with Apple’s supply chain. Apple disclosed a decrease in its latest earning report, a large decline from 7.33 million units to 4.69 million. 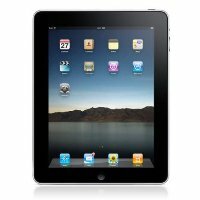 Tim Cook, Apple’s chief operating officer, claims that Apple faces “the mother of all backlogs” with the iPad 2. “I wish that we could have made a lot more iPad 2s, because there were a lot of people waiting for them,” Cook said during a recent call with investors. Foxconn says the factory in question approximately 50 iPad production lines and claims to produce more than 40 million units a year — so what’s with the shortages? A potential reason for could be a problematic displays, an issue that Apple has reportedly fixed.